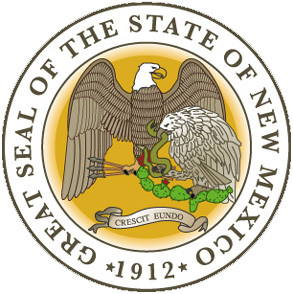 Representation of New Mexico's great seal; public domain image on Wikipedia. 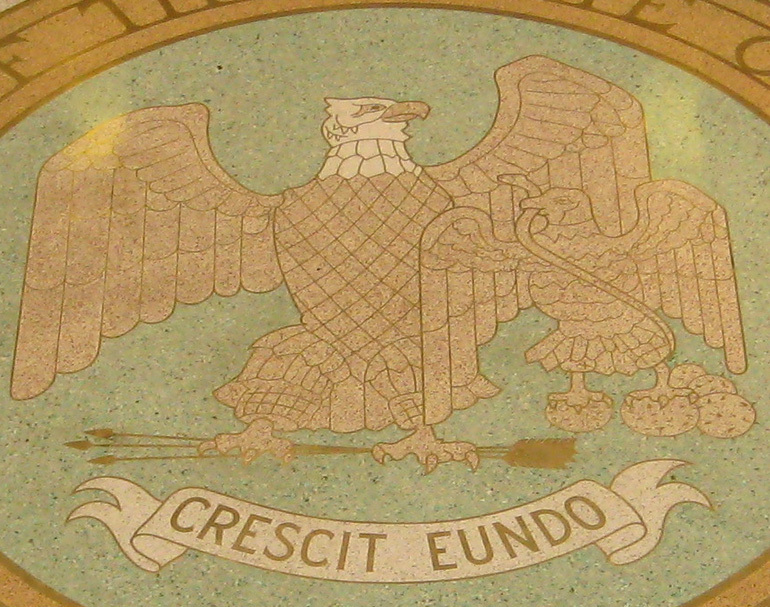 The great seal of New Mexico is rich in symbols. The Mexican eagle grasping a snake in its beak and cactus in its talons portrays an ancient Aztec myth and symbolizes that New Mexico treasures its Spanish, Mexican and Native American traditions (New Mexico was settled by Spanish colonists and was later part of Mexico). The Mexican eagle is shielded by the larger American eagle with wings outstretched, grasping arrows in its talons. This is a symbol of the change of sovereignty in 1846 between Mexico and the United States and also symbolizes America's dominant yet delicate protection of New Mexico and its heritage and culture. "Crescit eundo" is Latin for "It grows as it goes." It is a quote from a poem which refers to a thunderbolt increasing in strength as it moves across the sky. 1912 is the year New Mexico was admitted as a state to the Union. Close-up of New Mexico's great seal on Capitol building floor; photo by Richie Diesterheft on Flickr (use permitted with attribution). 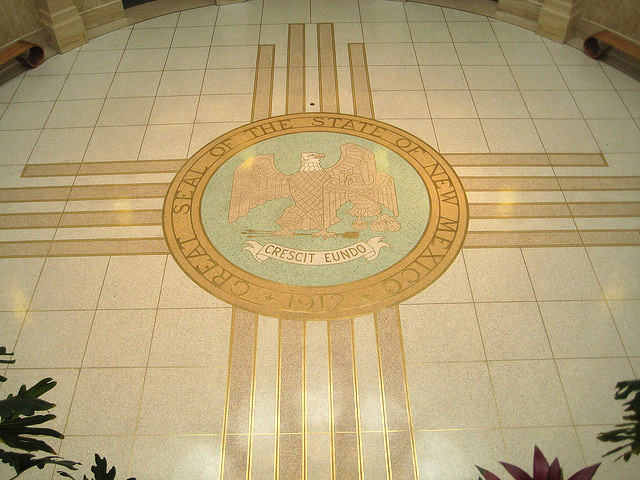 New Mexico's great seal on Capitol building floor; photo by Richie Diesterheft on Flickr (use permitted with attribution).